So very cute and beautifully designed. 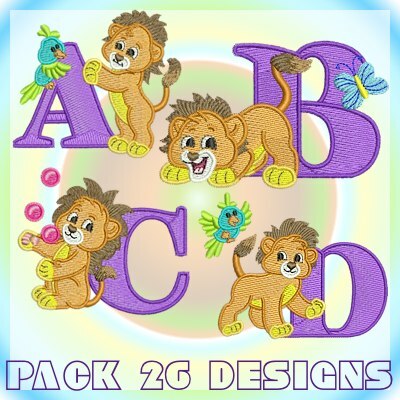 Can you PLEASE add this Lion Font to your cute embroidery site?!!! I love this little lion font. Great. Love this lion alpha - so cute! but wish the N and U had little lions too - then I would have loved it even more. These happy little lions are just so adorable! !